Bernie Sanders blasted the hypocrisy of Trump supporters this weekend. 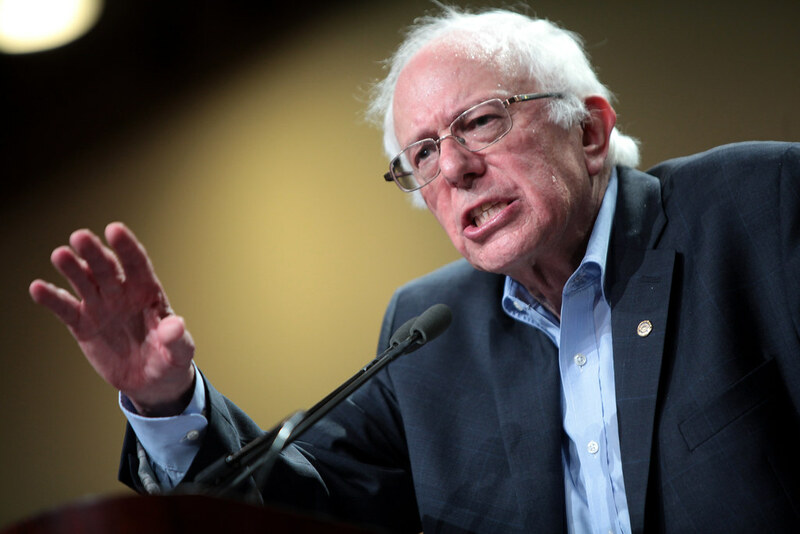 Democratic presidential hopeful Bernie Sanders blasted supporters of presumptive Republican nominee Donald Trump for their hypocrisy regarding the recent death of boxing legend Muhammad Ali. As ABC News reports, Sanders acknowledged “the apparent irony of Donald Trump‘s tweet that paid tribute to Muhammad Ali” during a Saturday campaign event held at the Los Angeles Memorial Coliseum. Muhammad Ali is dead at 74! A truly great champion and a wonderful guy. He will be missed by all! Sanders spoke directly to Trump supporters who were also fans of Ali noting the hypocrisy of supporting Ali and Trump in light of his proposed ban on Muslim immigration and mosques along with a proposed registry for all followers of Islam. “To all of our Donald Trump supporters who tell us that they love Muhammad Ali but say they hate Muslims – understand Ali was a devout Muslim that took his faith very seriously,” Sanders said. Shortly afterwards, Trump made his initial declaration suggesting the USA shut its borders to Muslim immigration. Let us know your thoughts about Trump and his followers in the comments, below.